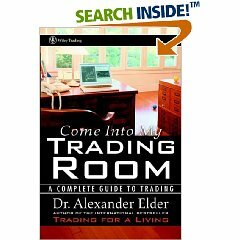 Come Into My Trading Room - In Come Into My Trading Room, noted trader and author Dr. Alexander Elder returns to expand far beyond the three M's (Mind, Method, and Money) of his bestselling Trading for a Living. Shifting focus from technical analysis to the overall management of a trader's money, time, and strategy, Dr. Elder takes readers from the fundamentals to the secrets of being a successful trader--identifying new, little known indicators that can lead to huge profits. Come Into My Trading Room educates the novice and fortifies the professional through expert advice and proven trading methodologies. This comprehensive trading guide provides a complete introduction to the essentials of successful trading; a fresh look at the three M's, including a proven, step-by-step money management strategy; and an in-depth look at organizing your trading time. Come Into My Trading Room reviews the basics of trading stocks, futures, and options as well as crucial psychological tactics for discipline and organizationâ€”with the goal of turning anyone into a complete and successful trader. By showing traders how to combine the elements of mind, method, and money, Come Into My Trading Room gives readers the knowledge and insight to enter the market with confidence and exit with profits. Unparalleled depth and a wide range of coverage will keep all levels of traders engaged, informed, and returning to Come Into My Trading Room again and again. Trend Following - How did John W. Henry quietly become rich enough to buy the Boston Red Sox? How have traders like Keith Campbell, Bill Dunn, Jerry Parker, and Salem Abraham consistently generated immense wealth in bull and bear markets? The key is trend following -- the only strategy proven to consistently make money. Now, one of the field's leading experts pulls back the veil on trend following, showing how it works and how you can take advantage of it. Michael Covel reveals the "underground" network of little-known traders and hedge fund managers who've been using trend following for decades. He introduces its fundamental concepts and techniques, showing why market prices contain all the information investors need, and how to understand price movements well enough to profit from them. 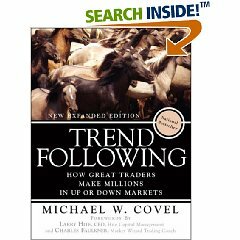 Using 100 pages of easy-to-understand charts from top trend followers, Covel proves the strategy works -- and shows why only a technical system based on following price trends can win over the long term. Covel presents more than a decade's worth of data: information you'd otherwise pay a fortune to see presented this clearly. He also shows even more backtested trend following results, so you can gain even greater confidence in the method. Along the way, Covel thoroughly debunks misinformation and failed advice from pros who ought to know better. This timely book capitalizes on today's intense volatility and uncertainty to give investors what they're desperately searching for: a strategy that really works. 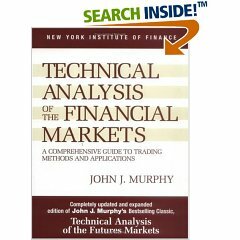 Technical Analysis of the Financial Markets - This outstanding reference has already taught thousands of traders the concepts of technical analysis and their application in the futures and stock markets. Covering the latest developments in computer technology, technical tools, and indicators, the second edition features new material on candlestick charting, intermarket relationships, stocks and stock rotation, plus state-of-the-art examples and figures. From how to read charts to understanding indicators and the crucial role technical analysis plays in investing, readers gain a thorough and accessible overview of the field of technical analysis, with a special emphasis on futures markets. Revised and expanded for the demands of today's financial world, this book is essential reading for anyone interested in tracking and analyzing market behavior. 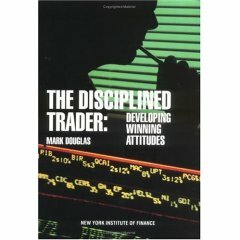 The Disciplined Trader - If you are looking for a answer to your trading psychological problems, this is it!!! This books takes you into a journey of understanding your self and your physical functions as a primary element of trading success. I have understood where my fear comes from and of course, I have understood that everything is an illusion and that the market cannot do anything to me. Trading for Dummies - When people think of stock trading, they often think of the glory days of the Internet, when stocks just kept going up and everyone seemed to be making a fortune. Since the bubble burst, many people are scared of investing in the stock market. Sure, stocks are riskyâ€”just like any other investmentâ€”but with the right knowledge and tactics, there's still money to be made. This book has all the tools and honest advice novice stock traders need to get set-up quickly and safely. Basic strategies and stock valuation methodologies let you control your risk exposure and make wise decisions. Trading For Dummies includes everything new traders need with advice on every type of stock or derivative, every kind of trade, and every popular strategy. 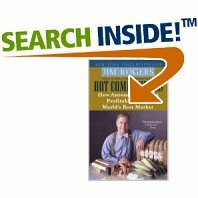 Hot Commodities - According to Jim Rogers, "commodities get no respect." Here are a few reasons why he thinks they should: they are easier to comprehend and study than stocks and behave more rationally since they are subject to the basic laws of supply and demand; they have outperformed many other investment options in recent years; it is foolish to ignore an entire sector of the marketplace; and a bull market is currently under way in commodities--a trend that Rogers expects to last for a least a decade longer. Further, Rogers believes that you cannot be a successful investor in stocks, bonds, or currencies without an understanding of commodities. Hot Commodities: How Anyone Can Invest Profitably in the World's Best Market is designed to introduce the novice to the basics of investing in commodities as well as explain what they are and why they are important. In doing so, he shatters some myths about the relative risks of commodities, explains the relationship between the stock and commodities markets, and provides a succinct analysis and history of the global oil, gold, lead, sugar, and coffee markets. Rogers also offers practical advice and information for beginners, including the best resources, how to read the commodities reports in the newspaper or on television, the various ways to open an account, information on index funds (such as Rogers' own index fund that he started in 1998), mechanisms, terminology, and other vital details people must know before investing. Clearly written and entertaining, Hot Commodities offers a solid introduction to investments that many people, including financial advisors, fail to give the proper respect. 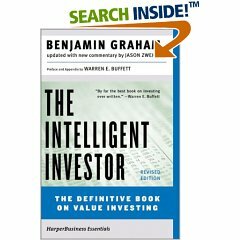 The Intelligent Investor - Among the library of investment books promising no-fail strategies for riches, Benjamin Graham's classic, The Intelligent Investor, offers no guarantees or gimmicks but overflows with the wisdom at the core of all good portfolio management. Since it was first published in 1949, Graham's investment guide has sold over a million copies and has been praised by such luminaries as Warren E. Buffet as "the best book on investing ever written." These accolades are well deserved. In its new form--with commentary on each chapter and extensive footnotes prepared by senior Money editor, Jason Zweig--the classic is now updated in light of changes in investment vehicles and market activities since 1972. What remains is a better book. Graham's sage advice, analytical guides, and cautionary tales are still valid for the contemporary investor, and Zweig's commentaries demonstrate the relevance of Graham's principles in light of 1990s and early twenty-first century market trends. 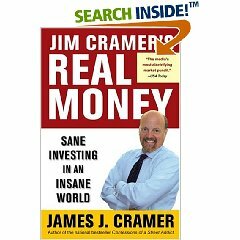 Jim Cramer's Real Money - Jim Cramer is the champion of the middle-class investor. Every night on Mad Money, he provides valuable information about stocks, steering investors away from danger zones and leading them to the investments that can turn a lackluster portfolio into a powerhouse of profit. In his new book, he shows investors how to take the advice on his TV program and put it into action. 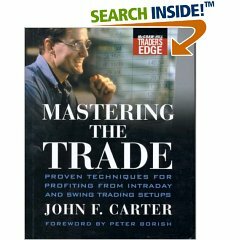 Mastering the Trade - In Mastering the Trade, veteran trader and educator John Carter shares his hard-won five-point technique for successful swing trading. In addition, Carter helps you move to the next level of confidence by explaining how markets really work and detailing behind-the-scenes market mechanics. 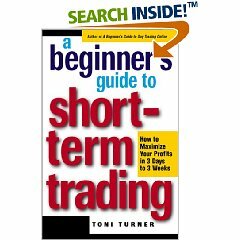 A Beginner's Guide to Short-Term Trading - "A Beginner's Guide to Short-term Trading" is written to those of you who want to profit by grabbing the "sweet spots" out of a stock's uptrend or downtrend. The book explains two styles of trading: swing trading and position trading. When you place a swing trade, you buy a stock with the intent of taking gains in 2 - 5 days. When you enter a position trade, you typically buy a stock breaking out of a base into an uptrend. You hold that position as long as the stock rises in that uptrend, approximately 3 - 6 weeks. If you have a have full-time job, yet want to participate in the stock market, short-term trading may appeal to you. And, if you're a traditional buy-and-hold investor, the knowledge you find in this book will help you keep your profits, instead of gaining them . . . and then giving them back. 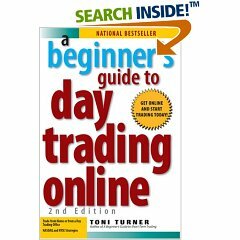 I wrote "A Beginner's Guide to Short-Term Trading" in the same lighthearted, reader-friendly style as my previous book, "A Beginner's Guide to Day Trading Online." Although the material is comprehensive and substantial, I firmly believe that humor, woven into a serious subject like the stock market, promotes the learning process. I also continued the "Center Points," as I've received a lot of positive feedback from people who enjoyed them in my last book. "A Beginner's Guide to Short-Term Trading," is designed to teach you skills and strategies needed to enter the stock market on a relatively short-term basis, safely and successfully. Please educate yourself thoroughly before you jump into the market, just as you would do with any worthwhile endeavor. The Complete TurtleTrader - Covel (Trend Following) revisits a famous financial trading experiment conducted by Wall Street trader Richard Dennis and extracts its lessons with mixed results. Dennis, who quickly learned how to trade after starting as a runner at the Chicago Mercantile Exchange in 1966 at age 17, had made a reported $200 million by 1983. To settle an argument with fellow trader William Eckhardt about whether trading ability was innate or could be taught, he put an ad in the Wall Street Journal offering to teach candidates how to trade in two weeks, and then backed them with his own money. Of the thousands of people who who applied, 23 turtles were accepted. Their trading made $100 million for Dennis, leading some to become highly successful traders in their own right. 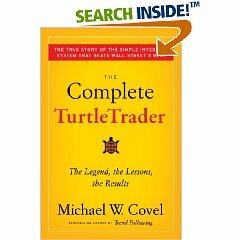 Having tracked down most of the people involved, Covel describes the turtle training, including rules for entering and exiting trades as well as Dennis and Eckhardt's personal lessons, and speculates on why some turtles succeeded more than others. However, there are too many characters with competing interests, and many missing facts. Covel's own strong views can also get more emphasis than the voices of the principals. Still, the book is a useful training manual distilling the lessons of a fascinating experiment. 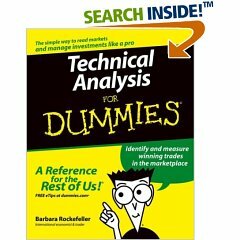 Technical Analysis for Dummies -A simple, straightforward guide to the fundamentals of technical analysis. For active traders and investors who don't understand the complicated art of technical analysis, this commonsense resource covers all the bases. Explaining the basic principles of analysis and showing how to implement them, Technical Analysis For Dummies dumps the confusing jargon and unreadable charts for basic explanations and practical guidance. In no time at all, readers will see how to make better trading decisions. Barbara Rockefeller (Stamford, CT) is one of the foremost authorities on technical analysis and founder of Rockefeller Treasury Services. Copyright ©2016 - OptionsOutlet All Rights Reserved.